The approximate average monthly cost of care for Oakhaven Manor is around $2,422. The Howell estimate for the same level of care is around $1,980. The average cost for the State of Michigan is about $1,760, versus $1,925 nationally. 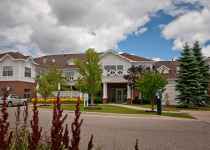 Located within Howell, Michigan, Oakhaven Manor offers senior care in a comfortable facility for older individuals. The zip code of 48843 in which this community is location is densely populated, with around 42,931 people. It is a largely average income area, with an average per-family income of $67,898. This residence is conveniently located, with shopping, medical facilities, and religious services all in close proximity. They're located only 0.8 miles from Saint Joseph Mercy Livingston Hospital. There are 8 churches within four miles, including First United Methodist Church, First Presbyterian Church, All Saints Wedding Chapel, and Grace Lutheran Church. There are also 8 pharmacies within 1 mile of the facility. 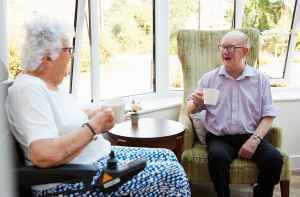 Oakhaven Manor offers independent living. 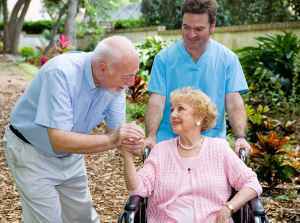 They can care for people who are healthy and independent and desire to live amongst other seniors and enjoy amenities like house keeping and on-site maintenance in a fun, social environment. This community has many amenities and services available to their clients. For example, they provide a selection of room features such as on-call maintenance, in-suite kitchenettes, safety and handicap fixtures, in-room washers and dryers available, and regular maid service. Additionally, they have a selection of fun and interactive activities including bingo, arts and crafts projects, off site outings, daily exercise routines, and general communal activities. Finally, they have lots of personal services like a 24-hour staff, transportation services, and dry cleaning services.